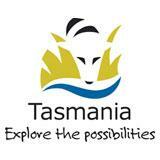 The Tasmanian Government has announced its commitment to achieving 5-Star Green Star benchmarks for every new school, hospital and community health centre in the state as well as major renovations where possible. Tasmanian Minister for Climate Change Cassy O’Connor released Tasmania’s Action Plan to Reduce Emissions last week following the Federal Government’s carbon scheme announcement. “With a carbon-pricing scheme ready to be legislated for at the federal level, now is the time for Tasmania to prepare for this opportunity to take strong action on climate change and the action plan is an excellent start,” she said. The Green Building Council of Australia supported the government’s move, with CEO Romilly Madew “delighted to see the Tasmanian Government adopt new measures to improve the energy efficiency of its buildings”. The states of Victoria and South Australia have already expressed a similar commitment to attaining Green Star environmental ratings for some aspects of their portfolios. O’Connor also announced that $500,000 of federal funding allocated to Tasmania would go to the Tasmanian Coastal Adaptation Decision Pathways Project, which will support practical approaches in managing climate change impacts on infrastructure and critical assets.